For many years, this hall was known only as the “Kleine Musikvereinssaal”, until in 1937, during the 125th anniversary year of the Gesellschaft der Musikfreunde in Wien, it was given a name that truly reflects its importance: the Brahms Saal. Johannes Brahms not only performed in person in this hall, he was also behind the very first concert to be performed here, by Clara Schumann on 19 January 1870. The standards set that day have been maintained ever since. 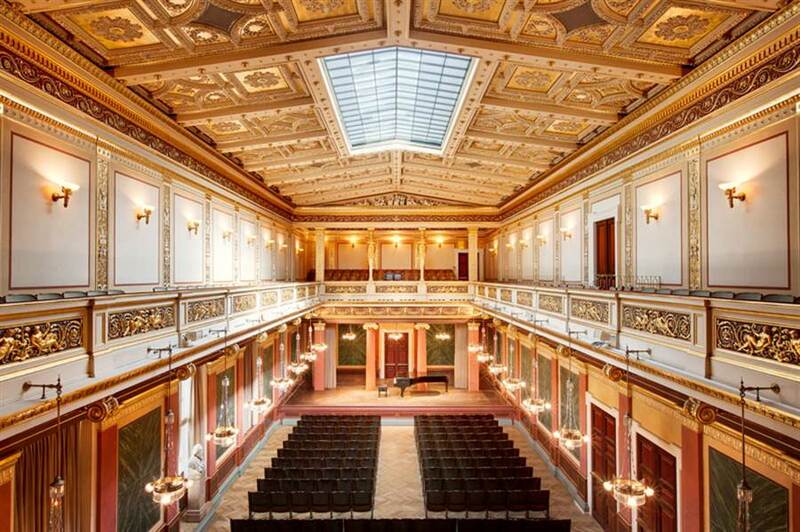 The Brahms Saal remains one of the most prized locations for the greatest chamber music ensembles and lieder singers performing in the world today. With just under of 600 seats, the hall is designed to showcase the intimate aspects of classical music. The hall acoustics are perfectly attuned to deliver this: the Brahms Saal – 32.50 metres long, 10.30 metres wide und 11 metres high – possesses a similar acoustic brilliance to the Große Musikvereinssaal. When the Musiverein building was opened in 1870, the Kleine Musikvereinssaal was described as a “true little treasure chest”. It was even suggested that this hall might warrant greater praise and wonderment than the Große Musikvereinssaal: “One might even wish to award the prize to this hall for its peacefulness and simple grandeur.” It is abundantly clear that Theophil Hansen’s design for the Brahms Saal created an architectonic masterpiece of the Historicism period. His commitment to the “Greek Renaissance”, evident in the design’s allusions to classical Hellas, make this concert hall an authentic temple of chamber music. 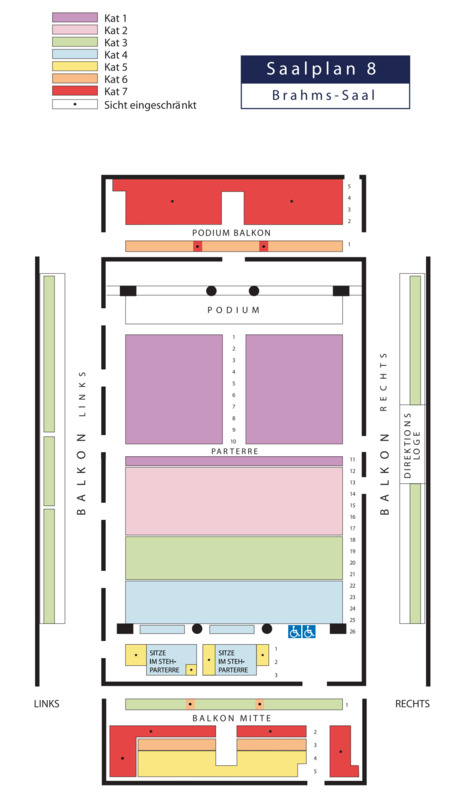 In 1993 the Brahms Saal underwent a comprehensive restoration programme. The restoration project involved consulting the original designs held at the Print Room at the Academy of Fine Arts in Vienna. This made it possible to reconstruct the original colour scheme created by Hansen as the Musikverein’s architect: green walls, red columns and the liberal use of gold.